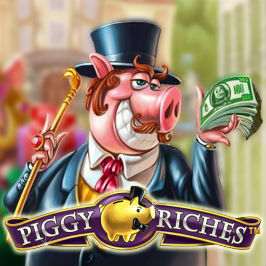 Piggy Riches online slot game features the richest pigs in the land, laden with purses bursting with cash and golden piggy credit cards. Piggy Riches software provider NetEnt has created an extravagant slot with five reels and 15 paylines, plenty of bonus rounds and a jackpot of up to 2000 times your initial wager. Read through our Piggy Riches review to see if you should be sticking your head in the golden trough of this cult game. 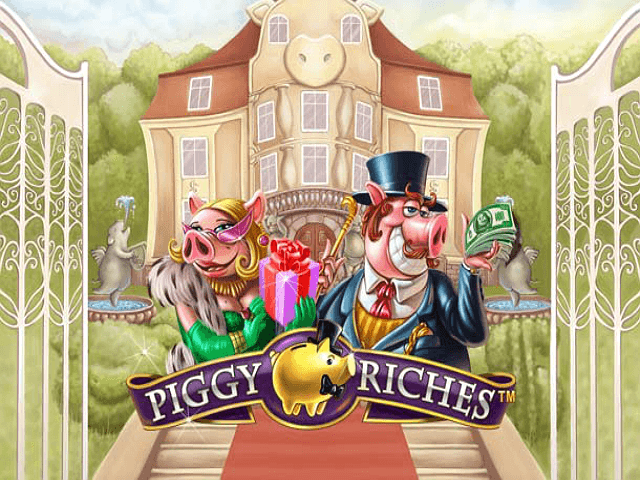 Piggy Riches reimagines the world as if our piggy banks had come to life and entered the highest echelons of society, complete with top hats, bow ties and fur stoles. The frame of the reels is crafted from gold, while the backdrop is a lavish country mansion. The game features two central characters, known as Gentle Pig and Lady Pig, who appear as special symbols in the game. Software provider NetEnt has successfully taken a typical animal-themed slot and turned it into something original and extravagant. While the basis of the game is not a movie or TV show, one cannot help but think that it owes a debt to The Muppet’s Miss Piggy. Kermit’s girlfriend is notoriously hard to please, but even she would be hard pressed to fault the generous return-to-player rate of 96.4%. 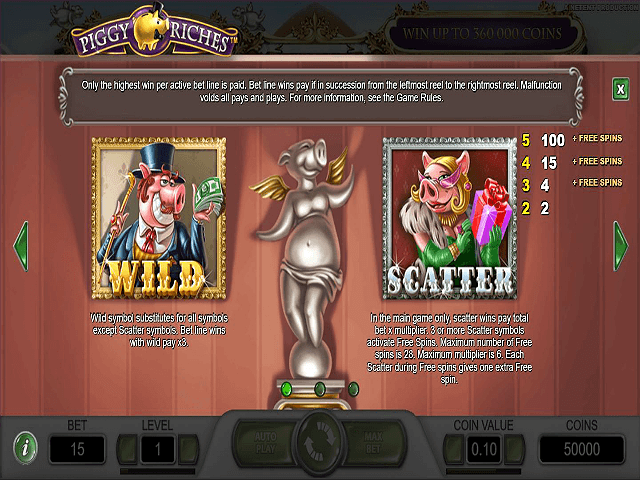 Piggy Riches slot game features some of the sharpest symbols to have ever graced a reel, adding to the game’s casino-worthy feel. The traditional card symbols of 10, J, Q, K and A are decorated in the finest furs, crafted and polished from the finest wood, or glittering with diamonds. The maximum payout from a row of 10s is 50 times the initial wager, while five As on one payline are worth 125 times the bet. Beyond the classic icons, there are also pig-related items, like a pig-emblazoned purse bursting with cash, a piggy bank stuffed with notes and smiling with golden teeth and a Pig MasterCard. There's even a set of car keys for a model known as a Piggy Pig, which owes its logo to Rolls-Royce. The highest paying symbol is a sack of gold coins, which is worth 2000 times the bet if you land a full payline. The main characters of Gentleman Pig and Lady Pig act as the Wild and Scatter respectively. The Wild can stand in for any symbol except for the Scatter and trebles any winning payline it lands on. Striking this will cause Gentleman Pig to shower himself in cash. The Scatter, meanwhile, is the key to activating the Free Spins bonus round, with three or more needed to qualify. You will know if she appears, as her husband will ‘oink’ after her. Once you start this round, you need to pick one of the other symbols to act as a second Scatter during the free spins. You may wish to plump for the middle option, as it offers slightly higher returns. Every time this scatter appears, you're gifted with an extra free spin. 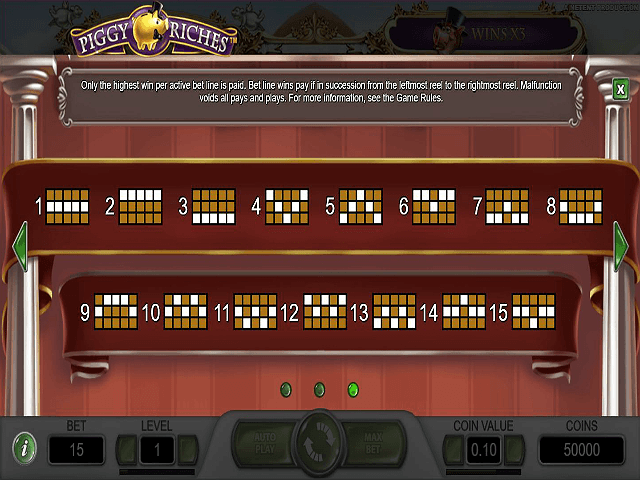 During the Piggy Riches free spin round you could win up to 28 free spins and a maximum six times multiplier. How's that for striking it rich? 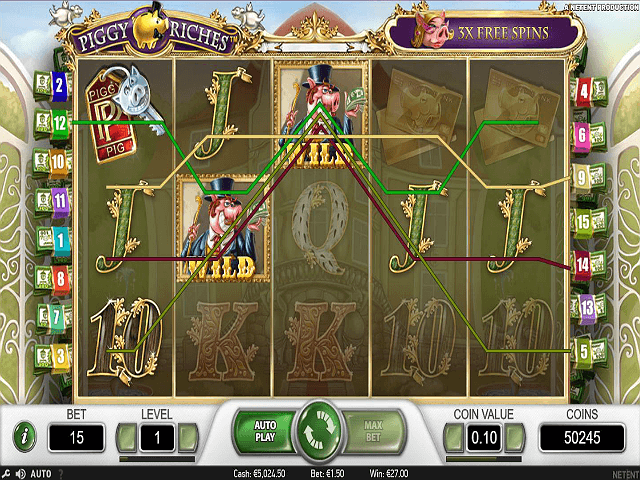 If you like Piggy Riches - You'll like these slots too!